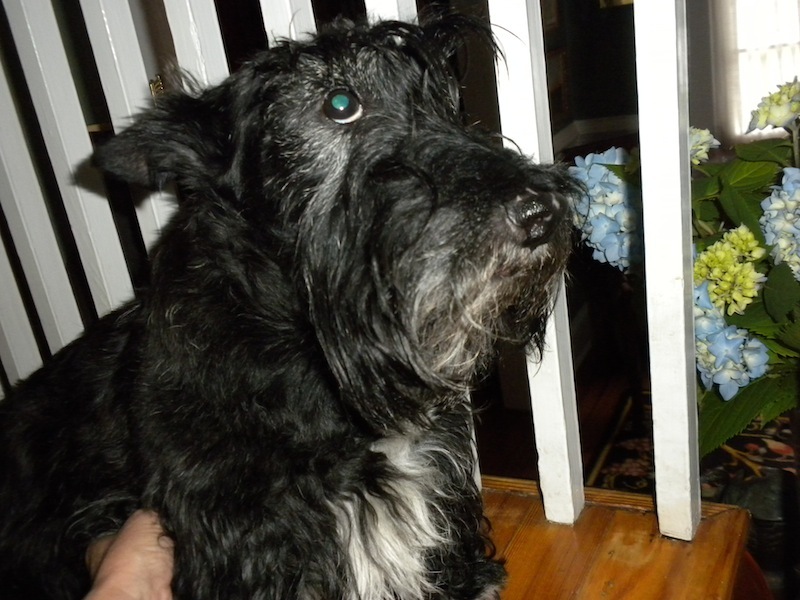 Image | This entry was posted in The Scottie Chronicles and tagged dogs, pets, Scotties, Scottish Terriers. Bookmark the permalink. Either you’re trying to get a whiff of the hydrangeas or you are being helped down that pesky step. Enjoy Silent Sunday – sometimes the less said the better. The indignity of it. Getting tickled in public and then getting it published world wide. Are ya worryin’ yer gonna get put in the tub agin? Hope yer all done with that, Stuart!! you do NOT look amused! BOL! Don’t be sad. It is a beautiful day. What did you do? You look like you are being scolded….OR that you are trying for some sympathy for something. Either way, BOL!!! Definitely look guilty ~ point the paw to someone else perhaps Sniglet. Oh my….. you look kinda sad dar. I think you need a cookie! I looks like that just befores Ma TRIES to pick me up for a bath! BOL!! GUILTY AS CHARGED!!!! Woot to all!